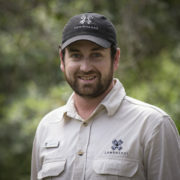 This week was marked by the natural death of an old elephant bull on Londolozi’s northern boundary. 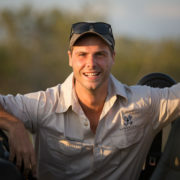 Speculation and anecdotal evidence suggests that he had died due to injuries sustained in a fight with another bull elephant. 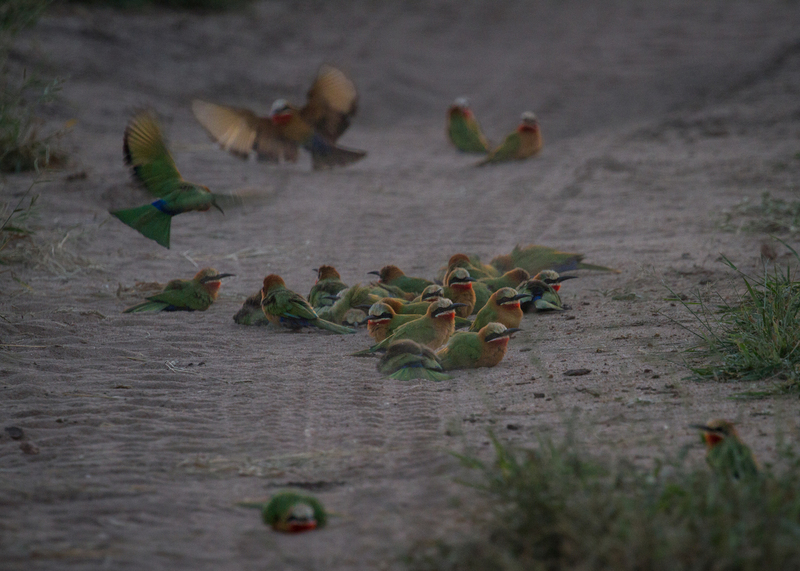 Several hyenas and countless vultures flocked to the scene, beginning a feeding frenzy that lasted – and will continue to last – for a few more days. Amongst the ranging and tracking team, one could not but speculate about the prospect of the circling vultures and pungent smell possibly attracting the attention of the Birmingham male coalition, currently territorial north of our northern boundary. 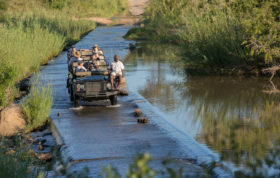 However, upon writing, that has not been the case but it was rather the opportunistic and not yet territorial Tsalala Breakaway young males that tentatively ventured towards that position yesterday after dozens of vultures descended on the carcass. 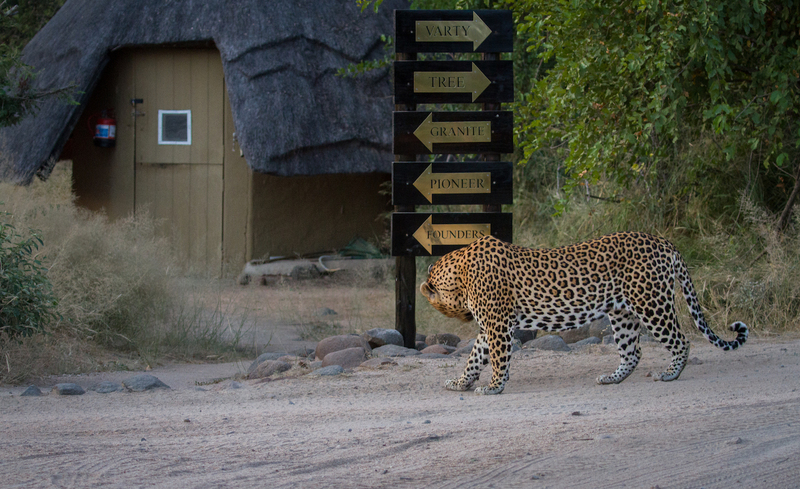 The regal Piva male continues to expand his territory and dominance over much of Londolozi. 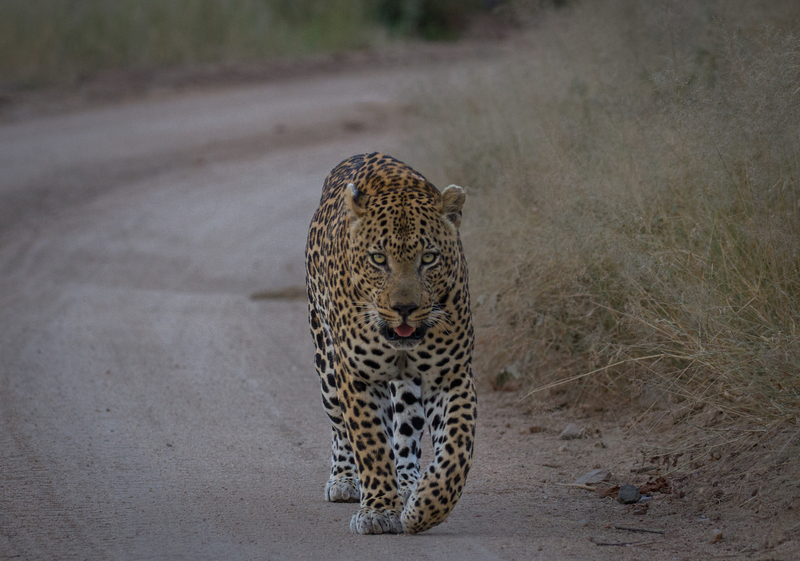 More recently, he has been seen venturing further and further west of his original territory as he comes into contact with the younger and smaller Flat Rock male. 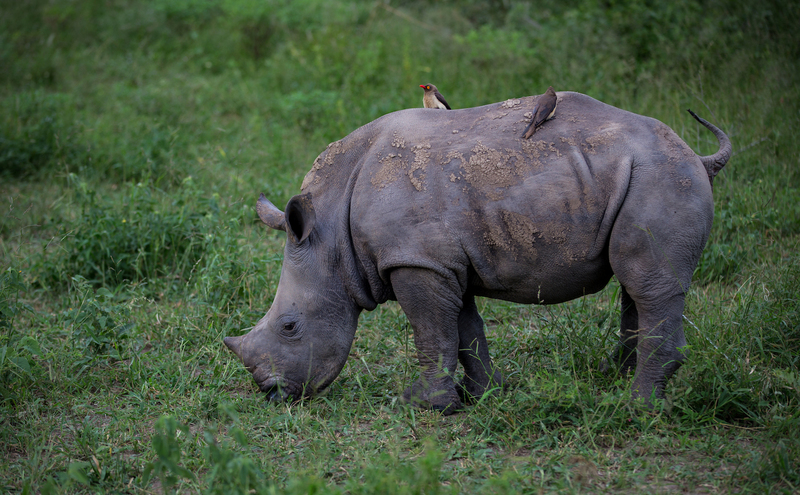 Two red-billed oxpeckers rid this very relaxed rhino calf of any ticks and parasites. 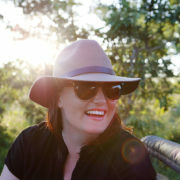 Oxpeckers are of crucial importance in cleaning many of the mammal species, both big and small. 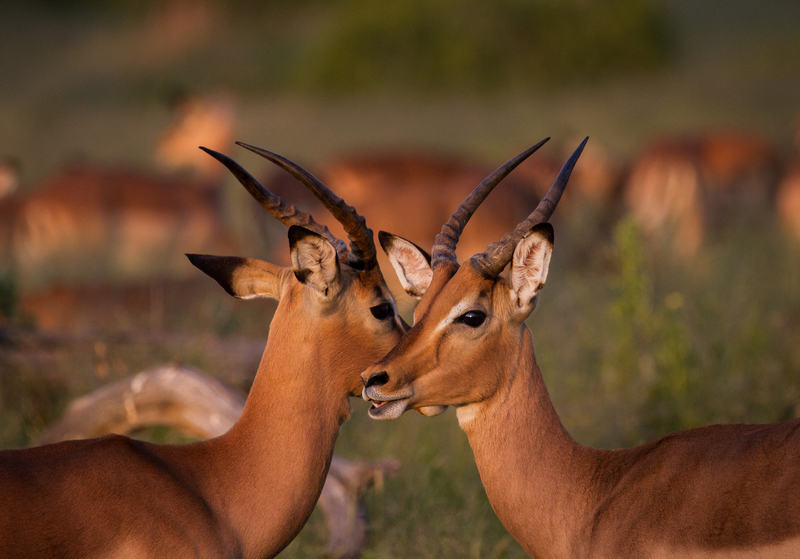 Allo-grooming is a vital part of an impala’s daily cleaning routine; it is when there is mutual grooming between individuals of the same species, and impala are the only antelope on Londolozi to display this type of behaviour. It was fascinating to watch as these two young rams licked each other almost exactly the same of times simultaneously. 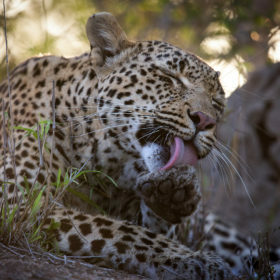 The Tamboti female cleans her face after piercing the stomach of an impala. Subsequently, she attempted to mask the smell by covering it with fallen vegetative matter and sand. 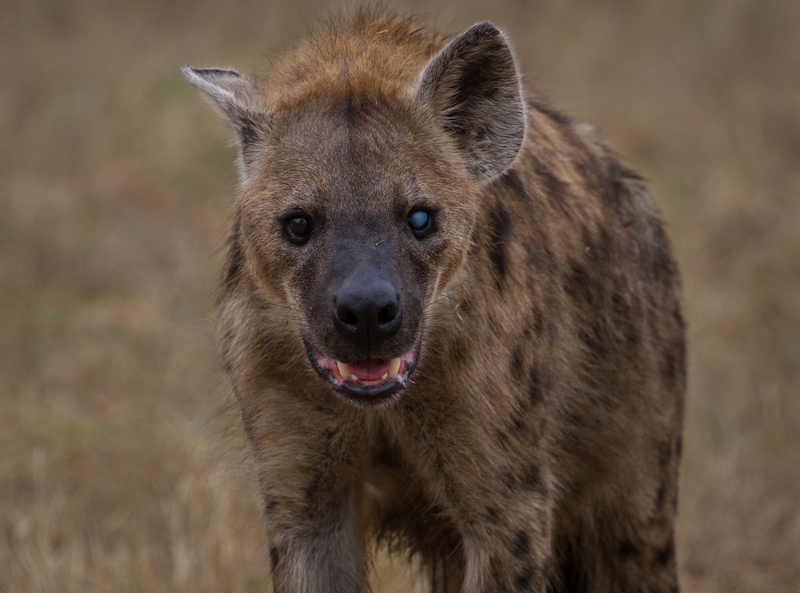 It is a common conception that hyenas were not graced with good looks and the blind left eye of this spotted hyena certainly didn’t make things any more glamorous. 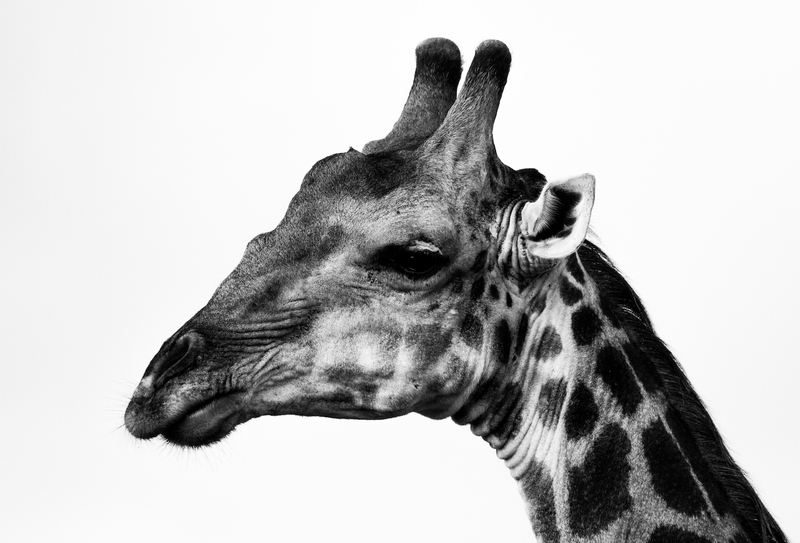 Giraffe are often at the top of any guest’s list of animals to view at Londolozi. Here, a very relaxed bull allowed us to get close enough to experiment with different photographic angles. 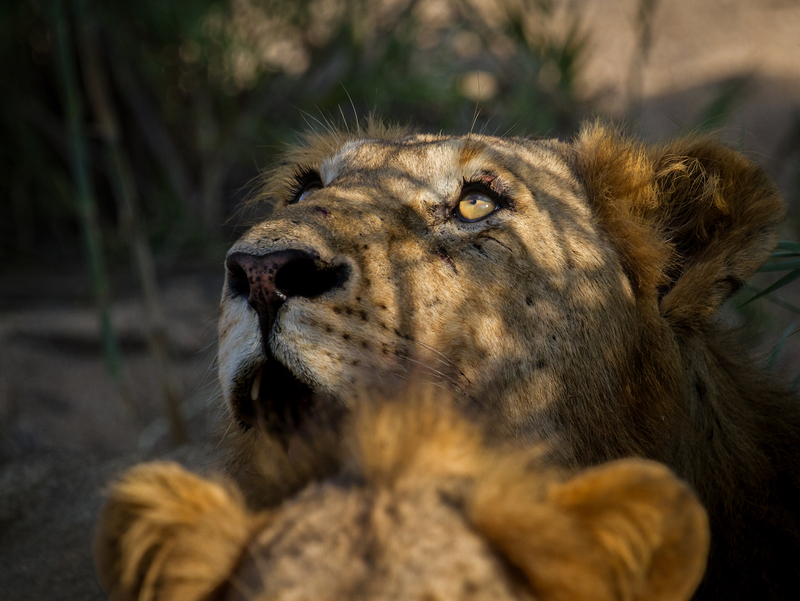 The moment when the Tsalala young males observed circling vultures high in the sky and subsequently rose from their slumber to investigate. 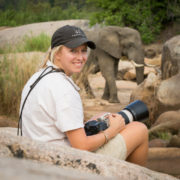 Their tentative approach led them to the large elephant bull carcass on the northern boundary. 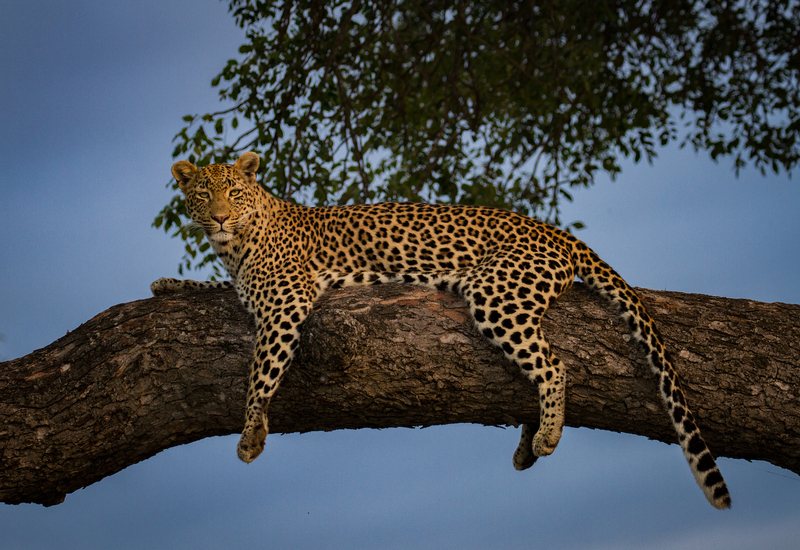 I recently wrote a blog on whether or not leopards prefer certain trees, focussing on the Nhlanguleni female and a particular Marula tree. Astonishingly enough, Sandros found her in the same tree earlier this week! Beautiful golden morning light provided us with many great photographic opportunities. 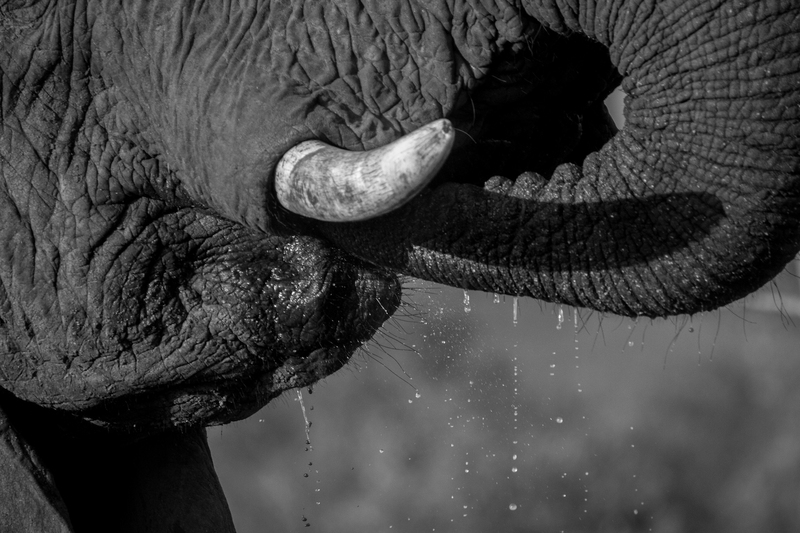 A large elephant bull quenches his thirst as the hot summer days continue to persists into early autumn. 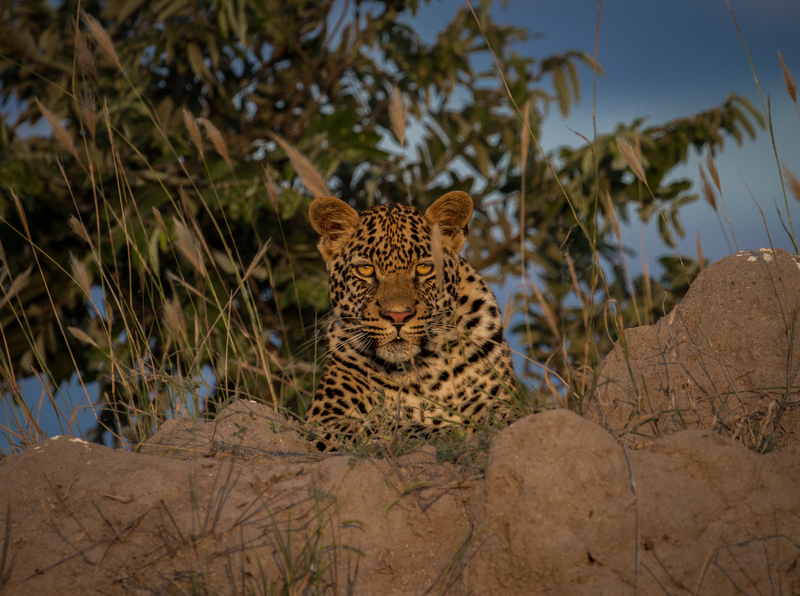 The Xidulu young male sits atop a termite mound as an impala incessantly alarm calls at his threatening presence. 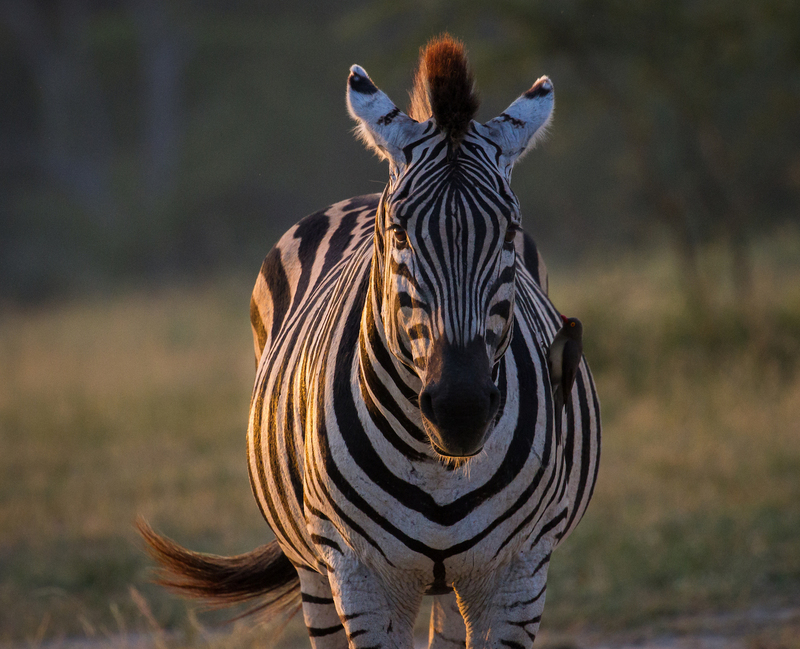 A lone zebra stallion stands still long enough to photograph as beautiful morning light penetrates through the trees. 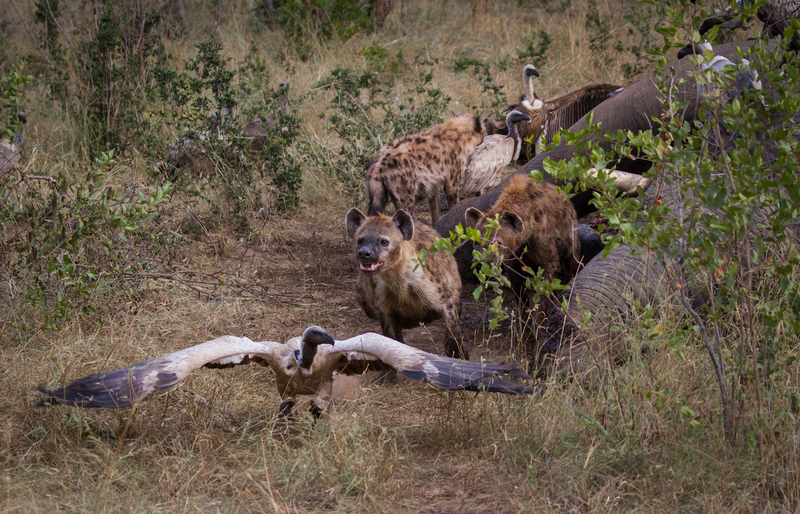 A clan of opportunistic hyenas chase away one of the countless white-backed vultures scavenging on the large elephant bull carcass. 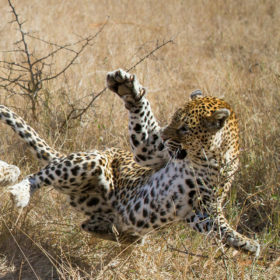 The Xidulu young male pounces on his smaller sister whilst the Xidulu female rests in the background. 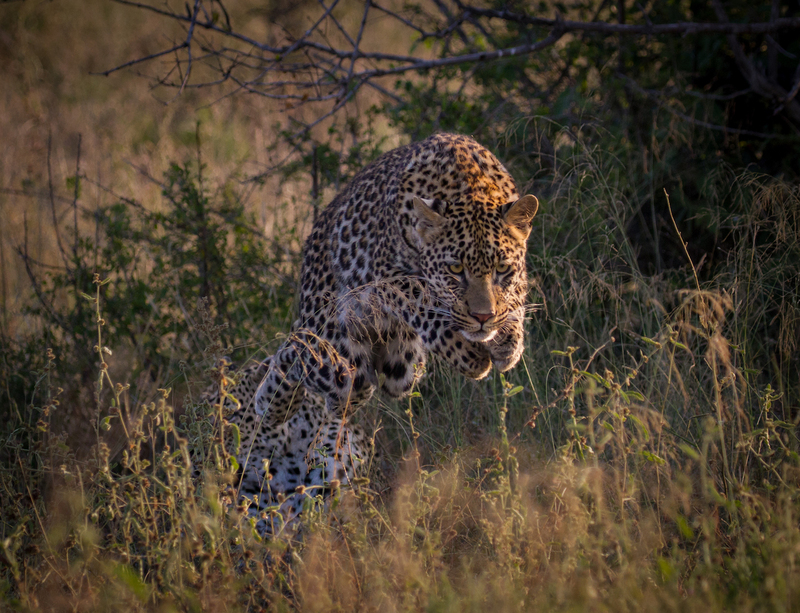 No matter the time of day, the fast-growing cubs always seems to have endless amounts energy. 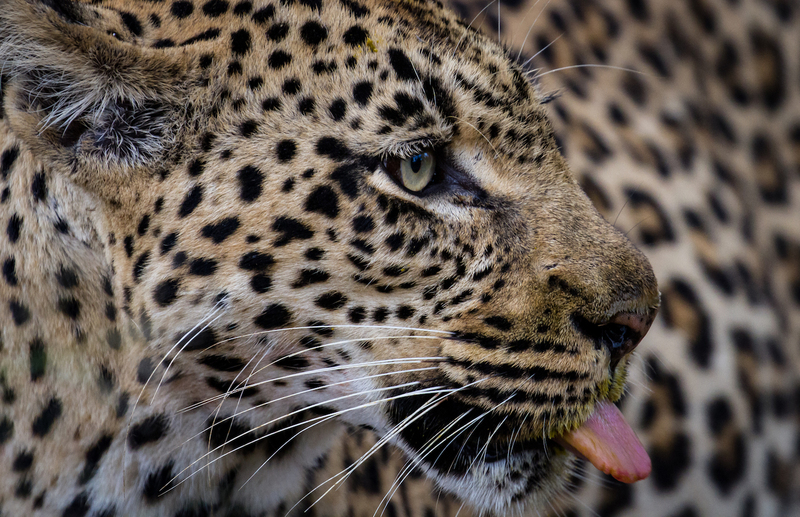 Love the two unusual leopard shots, Callum. Great photographs! 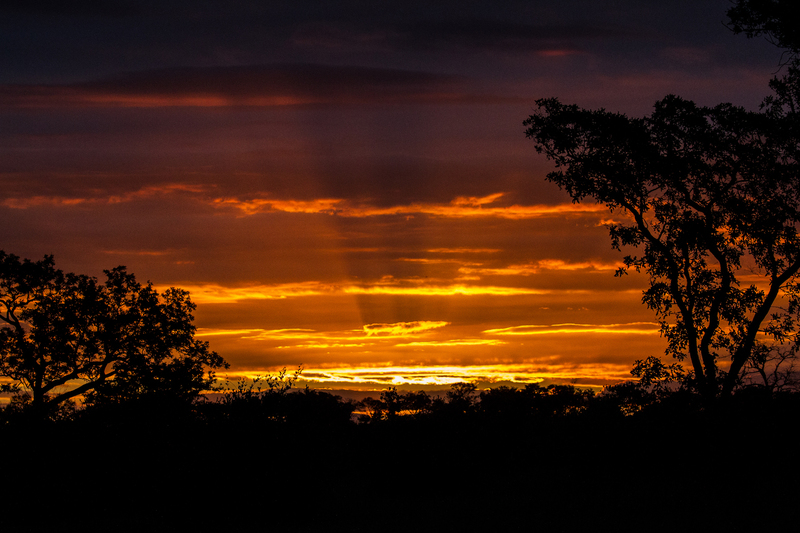 AS usual stunning photos to brighten the long week end, thank you ! Hi Aly. 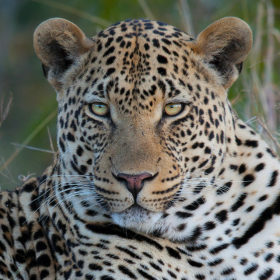 There are still three Tsalala males. In fact all three were seen together this morning. 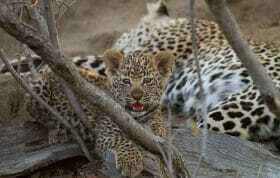 The tailless female and the younger female are also still together and denning cubs on Ximpalapala Koppies. We have heard the cubs but not seen them yet as the den site is an area that is inaccessible for vehicles. And as far as the hyena’s looks are, I think they are adorable. 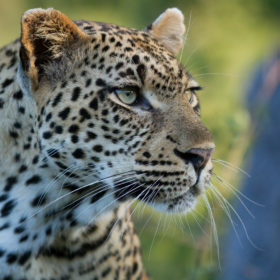 Why don’t you show more images of the Tsalala sub adults? 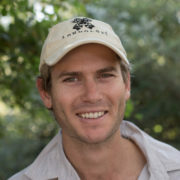 Awesome pictures Callum and thank you for this nice blog. Sad about the old bull ellie, but, as they say, it is nature and when one poor soul dies it feeds many.